I have finally had a chance to venture into the fine furniture side of the game. 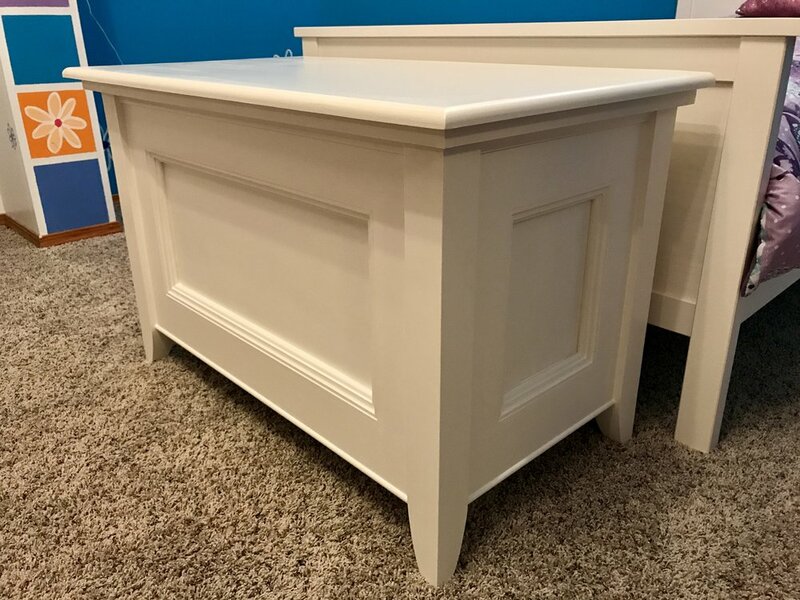 I was looking to build my eldest daughter something for her room and was inspired by a blanket chest that Jon Peters has up on his website. I took this inspiration and made some minor tweaks to the design to make it fit with my daughters room and the result is what you see below. I've learned a lot from this build, from the basic frame of plywood, to the assembly of all the aspen molding which really makes this box shine. Fine furniture takes time and precision to ensure a great looking product and while this box here is not perfect, I feel it's a pretty darn good start and I look forward to building this box again for the next two daughters. I'll just make sure they know that each one was made with love while we will all know the next two will be even better. If you like what you see in the picture below and want one for yourself, go ahead and click the Get Started button in the upper right corner of the website. In the meantime check out the video below along with the images on this beautiful project.